Disturbed sleep can have a significant impact on children’s mental health according to research from the University of Southampton. Scientists found that snoring and minor breathing problems when falling asleep can affect a child’s day-time mental flexibility and ability to pay attention. Furthermore, they are more likely than their healthy peers to be described by their parents and teachers as hyperactive. The University’s School of Medicine and School of Psychology identified sleep research as an important part of the Neuroscience Initiative (in the Faculty of Medicine, Health and Life Sciences). This initiative has included the establishment of a two-bed paediatric sleep laboratory where full polysomonographic - or sleep - studies can be conducted. The findings are being presented to clinical and research communities concerned with child mental health at a national seminar tomorrow (Thursday 27 September) at the University’s Avenue Campus. The seminar will present research being undertaken at the University of Southampton and the potential significance of sleep disturbance as a focus for both research into and treatment of mental problems in children. The importance of sleep quality and quantity for health is now widely recognised. Disturbed sleep is a feature of mental health problems in adults and is becoming seen as a significant aspect of mental health problems in children too. As many as 10 per cent of children snore and have minor breathing problems when they fall asleep. Cathy Hill, Senior Lecturer in Child Health and a member of the University’s Clinical Neurosciences division, says, "Many aspects of our technological age promote sleep deprivation. The human brain, which has evolved to function within the natural cycle of day and night, is now stimulated by 24 hour light, sound and the potential for productivity. As a society we need to “wake up” to the importance of sleep and its disorders or suffer the health consequences." The presentations also include a talk by Dr Dennis Staton from Lakeland Mental Health Centre, Minnesota, USA on the relatively under-developed issue of sleep quality in paediatric mood disorders. The paediatric focus of the sleep research in Southampton is distinctive within the UK. 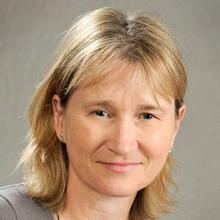 Dr Catherine M Hill is an Associate Professor of Child Health within Medicine at the University of Southampton.